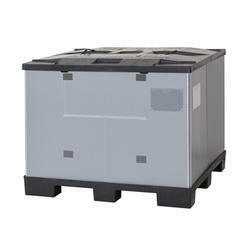 Prominent & Leading Manufacturer from Navi Mumbai, we offer used flc foldable plastic pallet box container. We are offering Foldable Plastic Pallet Box to our clients. Looking for Foldable Plastic Pallet Box ?